As we know in Today’s world businesses have large computer networks that are remotely bridged to client devices. The connection of Laptops, Tablets, and other Wireless Devices to corporate networks creates attack paths for security threats. Endpoint Security or Endpoint Protection is an approach of protecting a Business Network when accessed by remote device. It includes monitoring status, software, and activities. The Endpoint Security Software is installed on all Network Servers and on all endpoint devices for further process. To solve a network security problem that enterprises are facing, Endpoint Security is very important. So we can say in today’s world every organisation or Consumer prefer to it. Endpoint Security is frequently confused with a number of other Network Security Tools like antivirus, firewall, etc. Here we see some differences between Endpoint Protection and the Network against various evolving security threats of today. A Network is the connection of different devices that can poses a considerable danger. As these devices are placed outside of the corporate firewall on the edge of the network using which individuals have to connect to the central network, they are called as endpoints. Meaning Endpoints of that Network. How Endpoint Security Works Differently for Consumers and Enterprises? There are mainly two ways by which Endpoint Protection Solutions are available for the Consumers and the Enterprises. The big difference between these two solutions is that there’s no centralized management and administration for consumers, whereas, for Enterprises, it is necessary. This centralise administration mean SERVER streamlines the configuration or installation of Endpoint Security Software on individual endpoint devices and performance logs and other alerts are sent to the central administration server for evaluation and analysis. The main difference between Endpoint Security and Network Security is that Endpoint Security is about securing your enterprise endpoints (Mobile devices like Laptops, Smartphones and more), and the Enterprise against the dangers posed by endpoints whereas Network Security is for protecting entire Network (the whole IT infrastructure) against various security threats. Simply you can say, your Network would be secure only if your Endpoints are secured first. This is very important to understand above information before starting to look for Endpoint Security and Network Security products. Why Endpoint Configuration Services Are Important? Some incidents in IT infrastructure potentially translate as huge loss of sensitive data for enterprises hence Endpoint Configuration Services are very important for every organisations. These configuration services improve visibility and control over data which is the first step for preventing data loss. DLP (Data Loss Prevention / Protection is a software used to detect data breaches/data ex-filtration transmission. DLP prevents them by monitoring, detecting and blocking sensitive data movement while user / endpoint is in actions or data is moving in Network Traffic or when it is stored in storage. This software also allows to set policy and rules to allow or block data transmission or can monitor it. In Today’s world, business uses antivirus and a firewall for their Network Security purpose. However, threats are getting much more sophisticated making this approach outdated and ineffective. Endpoint Protection is a technique to safeguard corporate networks that are remotely connected to client devices. The connection of Endpoint devices to corporate networks creates an entry point for security threats. It is devised to make sure that all devices connecting to a Network follow the defined level of compliance standards. Endpoint security represents a broader spectrum of solutions. Instead of focusing solely on antivirus, it also represents an entire portfolio of security products, of which antivirus is only a piece. Most of the businesses do not have effective means to mitigate cyber risk and the only precaution in place is antivirus software. When businesses wants to choose between Endpoint Security and Antivirus Software for protection is depends on many factors like the size of Network, the presence of Remote Workers, business policies, the need for centralized security controls, and the security features you require. Endpoint Security helps businesses to protect their Network and Endpoints. With evolving nature of today’s IT infrastructure, attackers are using more sophisticated attacks to infiltrate Networks. Endpoints represents the last line of defence and we need to protect them by using configuration services. Organizations are more worried about cyber damages and technologies is overwhelming and challenges mount when managing security across multiple geographies. In such cases Endpoint Security plays an important role by protecting IT Infrastructure from any malware attacks. With limited resources and limited budgets, organisations want easy-to-manage services that can integrate with each other to improve overall Security. Nowadays Having Endpoint Security product is not enough for any business but it is also important to configured it in a proper manner. There are many manufacturers are available who provides Endpoint security products such as SOPHOS, Symantec, MacAfee, Norton, Quick Heal, KASPERSKY, CoSoSys etc. They all provides different types of Endpoint Security Products with different features and all are having different configuration techniques. So it is very important that the product should configured Correctly to utilize all available features to protect your End Point devices. Today’s advanced attacks require more than traditional antivirus defences for any business or enterprise. 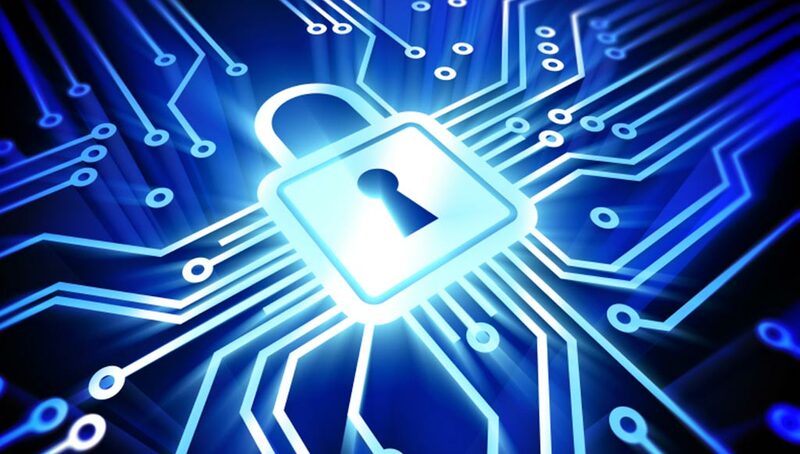 We provide Remote Configuration Services for Endpoint Security from our Technical Expertise. Our expertise centrally managed and defend against the full threat spectrum from zero-day exploits to advanced targeted attacks, protecting Windows, Macs, and Linux systems, as well as Android and iOS mobile devices etc. With us you will find the best service experience as well as On-Time service delivery. Our Sancuro Ecommerce platform helps you by providing affordable services for your System and Network in a short timeframe. Today businesses use different devices with top brands for Endpoint Security to protect their systems. The endpoint address for a service must be specified with configuration. Endpoint security is very important for any organisation that define endpoints. Businesses having a Security product in their premises is not important but it’s also important to have a complete knowledge about it. So the product should be configured in proper manner with all availed features to get your Endpoint Security utilized. Sancuro provides System and Network Remote Configuration Services for all IT hardware. Their Technical expertise helps you to deliver Endpoint Security Configuration Services online anywhere in the world. It provides Non comprehensive support services to address your domain requirements of managing client covering both the Edge-IT Infrastructure as well as Core-IT Infrastructure with fully customizable services.